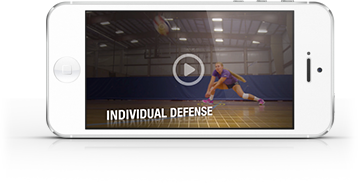 Purpose: To train all players to be adequate passers. How it works: A player in left back assumes the ready position. From the right-front spot, a coach tosses a ball to the player. Using a “push-rebalance-get set” pattern, the player steps to the ball and plays it back to the coach. The key is to move the feet quickly to get into proper passing position and pass when the ball is above the knees.